Church Replacement Doors - Custom Woodtone Doors by The Baut Studios, Inc. FACILITY TOUR OF THE BAUT STUDIOS, INC. 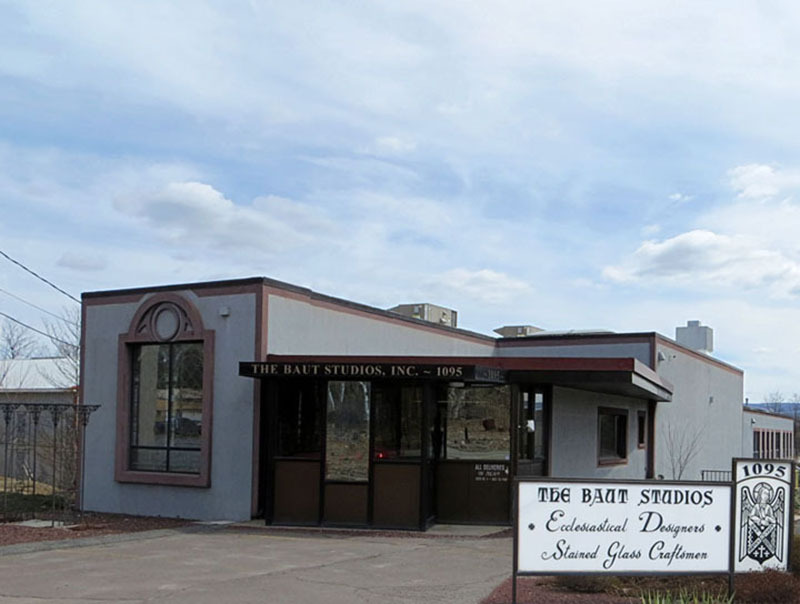 Located in Northeastern PA, The Baut Studios Inc. has a modern 23,000 square foot facility. 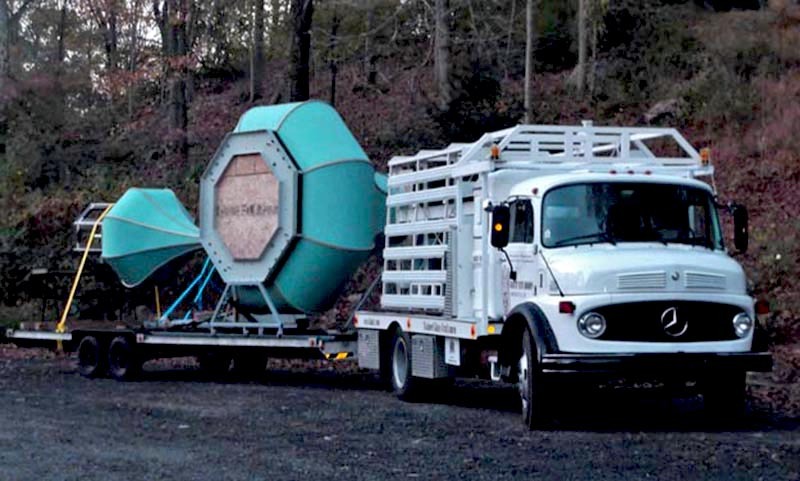 Every job is considered custom, and our high-quality craftsmenship is standard. Our Drafting and Design Dept. is completely computerized with everyone in this department being an experienced user of Autocad. Our custom computer program allows us to generate cut sheets for our various window and door frames with ease. These cut sheets are then translated to shop drawings, or full size templates. Our staff of in-house artists are capable of matching any style in any Baut Product. Our color selector has over 25 years experience in working with the various types of glass in our vast inventory. We keep approx. 1,800 different colors/textures of glass from worldwide resources at any given time. 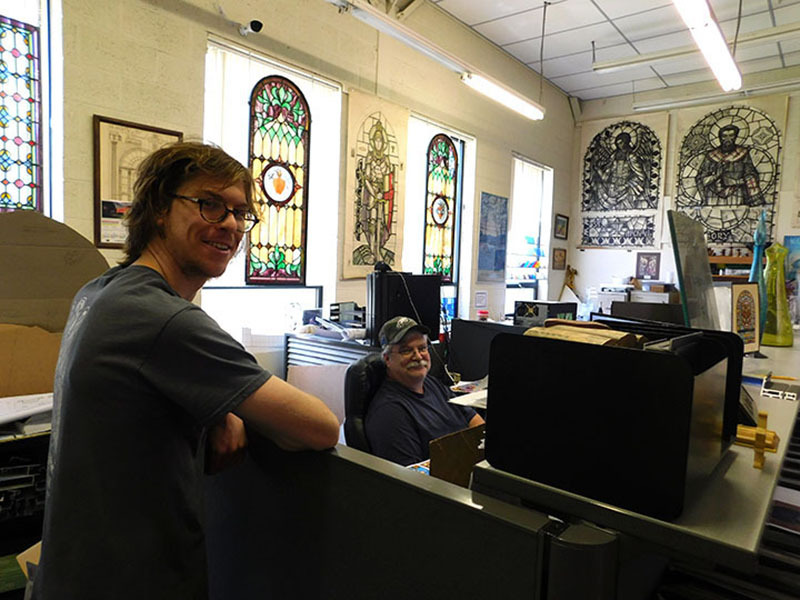 The glass for every project is laid out on a full size light up table for review by the artist prior to proceeding to the next level of manufacture, either the Paint Department of traditional stained glass or the Structural Stained Glass Department. Only the finest glass paints, James Hancock of London, England are used. 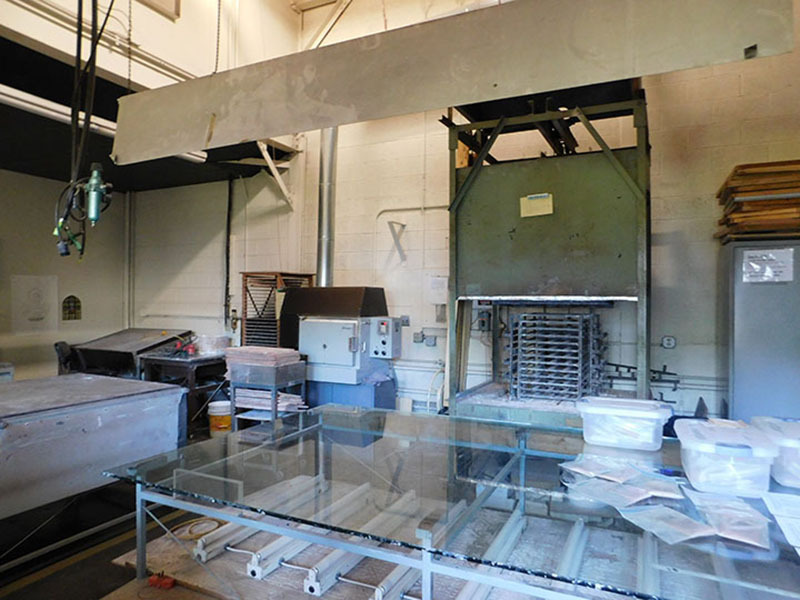 Once the paint is applied & reviewed by the artist, the glass is then fired in one of our 4 kilns to permanently adhere the paint to the surface of the glass. 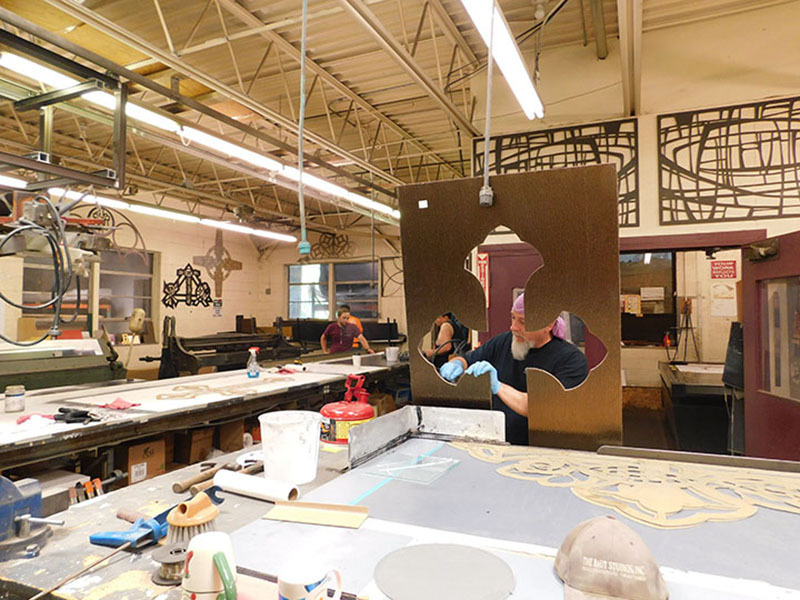 In our Paint Dept., glass for traditional stained glass is painted on one of our full size light-up tables utilizing ancient & modern techniques. 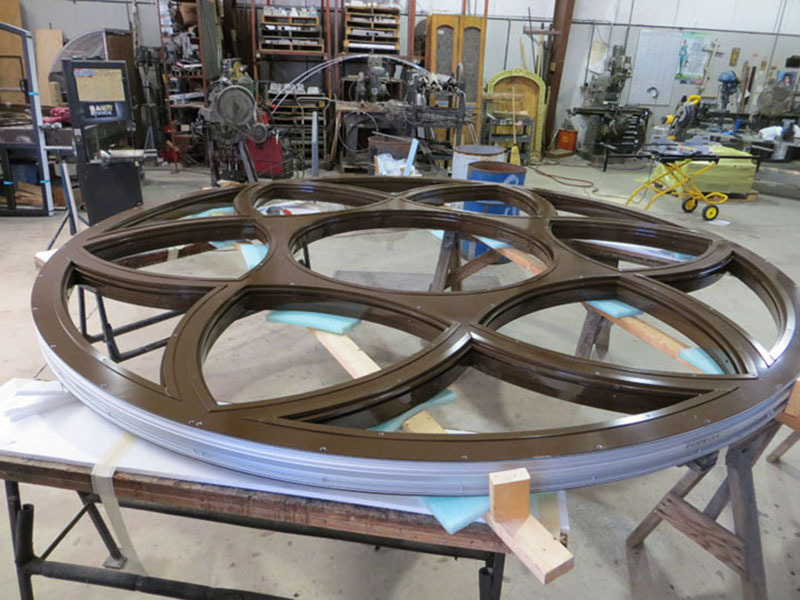 Hand applied, and/or airbrushed paint is custom mixed to match existing windows for restoration work. The painted and fired glass for Traditional Stained Glass is assembled in the Glazing Department using the trditional methods of leaded work. The lead came are NEVER STRETCHED, as this can weaken an already plable, soft material. All Joints are soldered on both sides and added to increase the structure of the sections. Before leaving this dept., an artist must inspect the sections prior to loading the truck for installation. 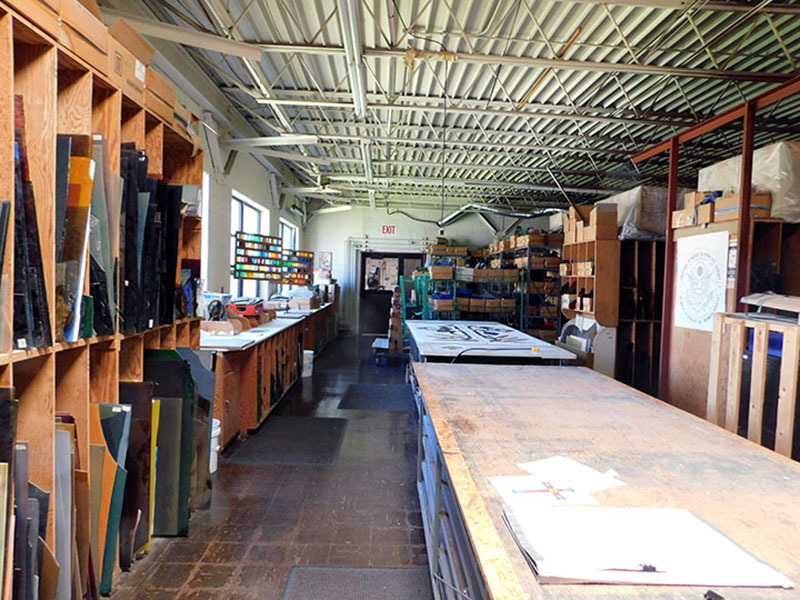 This is where the patented Structural Stained Glass® is fabricated. Intricate designs are milled into anodized aluminum sheets by a digital routing machine. Patterns for the glass areas are made by the computer and the glass is cut in the glass department. 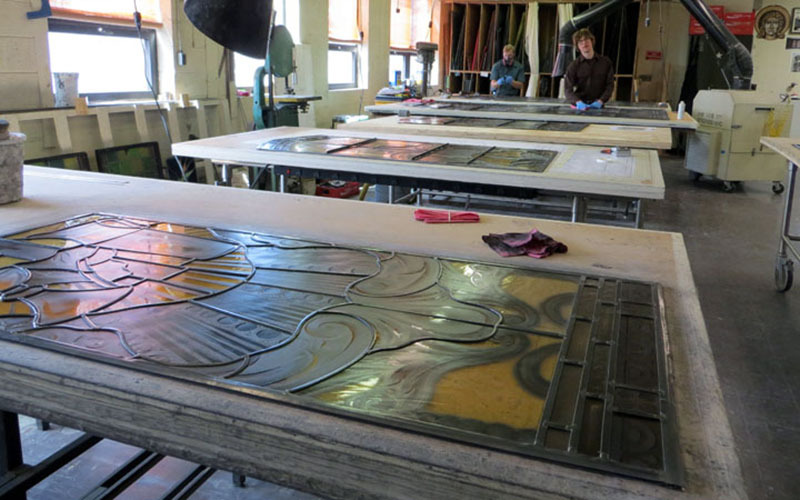 When the glass is ready to be cast in the panel it is returned to the Structural Stained Glass® Dept. 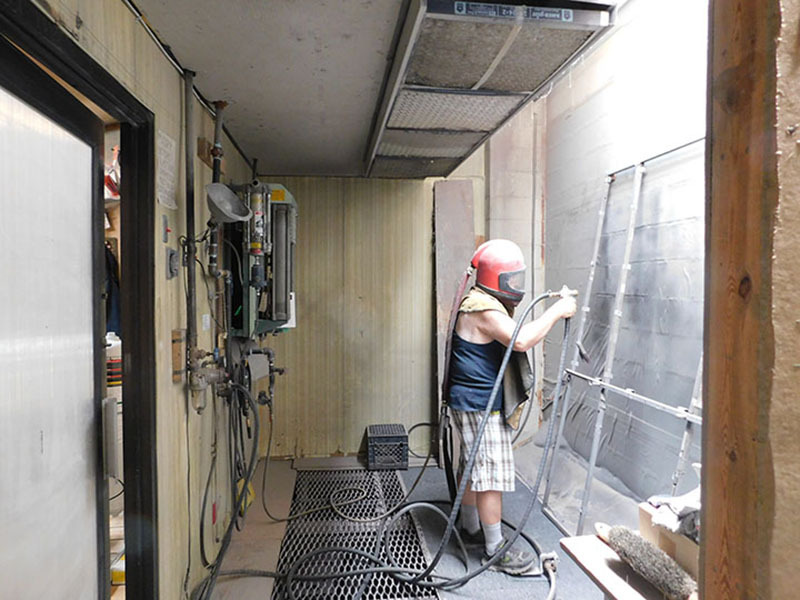 The milled aluminum sheets are set up in preparation of casting with epoxy resin. The cured epoxy is removed from the glass areas, trimmed and cleaned. Before leaving this department an artist must inspect the sections prior to loading the truck for installation. 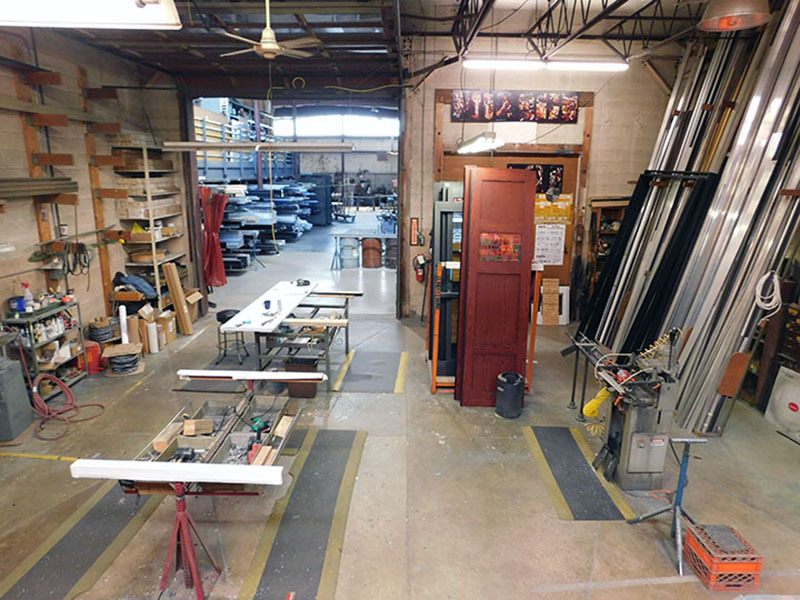 Using our custom designed door extrusions, our doors are both bolted and welded to insure trueness and prevent racking. Our wall thickness of our extrusions is heavier than others by 25%. This added weight adds to the structure of the doors. A continuous hinge equally distributes the weightof the door and heavy duty, UL listed, and ADA Approved hardware is used to create the best built aluminum door on the market. Custom shapes and sizes are our livelihood. Our aluminum window frame profiles are extruded to our own designs to include features we found to be not only useful, but necessary as well. Our inside track allows for a simole and clean installation of art glass at a future time if it is not included as a total package from the start. Our frames can be glazed from either side, and the stops can be set in a variety of configurations to accept glazing of various thicknesses. Our frames are thermal barrier and heavy duty. Additional reinforcement, if required can be concealed. Our glass etching process uses a metal oxide blasted from an air hose at high velocity to achieve permanency on the glass. The metal oxide gives a satiny effect, similar to acid etched, rather than the course and pitted surface from sand blasting. We have a number of standard designs available or will custom design to suit the client's needs. Our etchings are done on either safety laminate or tenpered glass, and meet all building codes. Our experienced craftsmen are trained to follow OSHA guidlines for safety in all aspects of the job. Our men will install in a professional and courteous manner and answer all questions before leaving the jobsite. All our equipment, especially our scaffold, either meets or exceeds OSHA guidelines. We are also fully insured.